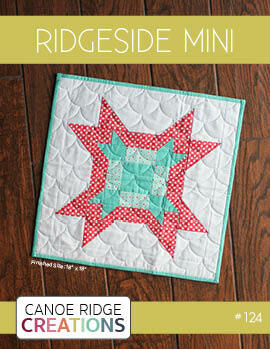 Canoe Ridge Creations: Fresh Mini Quilt Club | YOUR mini quilts! 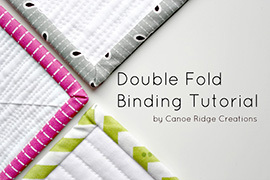 Fresh Mini Quilt Club | YOUR mini quilts! 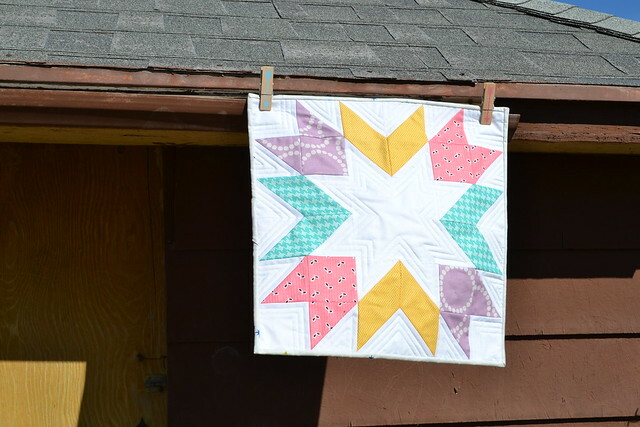 The first month of the Fresh Mini Quilt Club has come and gone & it's been so fun + inspiring watching all of your mini quilts pop up on Flickr and Instagram. 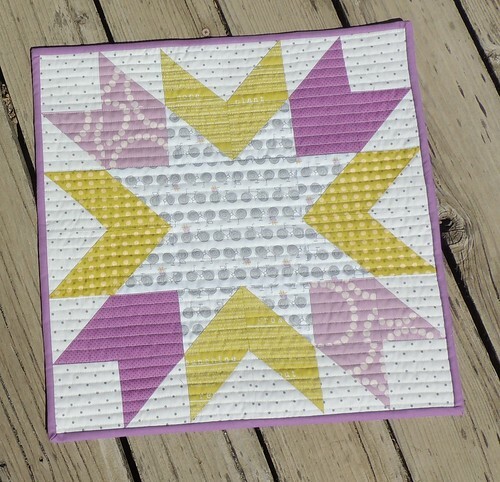 March's mini quilt design, Starburst, works so well in all fabrics + color palettes! Here are just a few of the beautiful finishes, head on over to Flickr group and check out #freshminiquiltclub on Instagram & Twitter to see more! 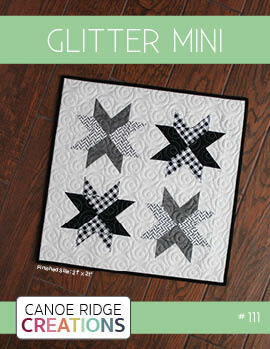 If you haven't signed up for the Fresh Mini Quilt Club and would like to join -- there's still time! Check out all the FMQC details here. 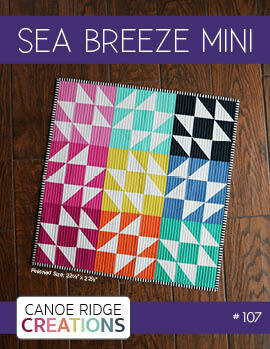 I'll be back Monday to share April's mini quilt, Electrify -- here's a little sneak peek from Instagram. All so inspiring! Love it. Can't wait to get to mine! Wow! 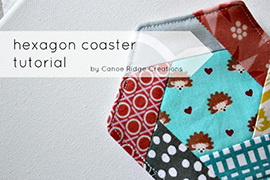 Thanks for featuring my little quilt here! It was super fun to make and I'm so glad that I joined the club! Thanks Megan! 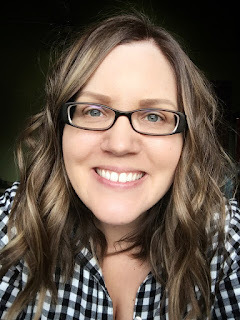 I hope you have a great weekend!! So happy to see my mini included! 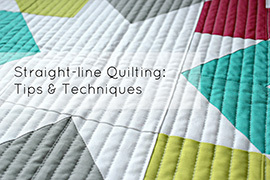 The pattern is clear and easy to follow, and was great practice for me on making better points and corners. 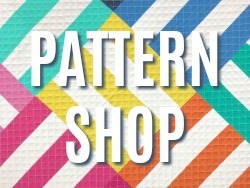 Looking forward to making future patterns in the club. those are fun!!! I need to make one seriously. 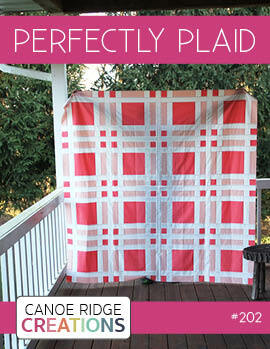 I've been wanting to quilt something I just haven't had the f-ing time!!!! wah!!! I think I'll do this project this weekend~! How fresh and wonderful they all are! 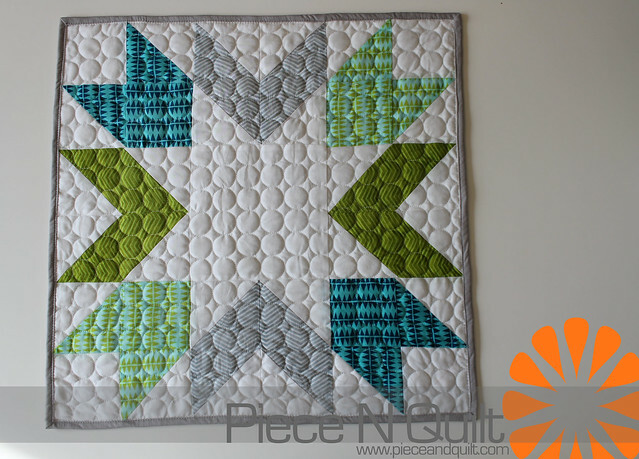 what is the name and maker of that background white with 'writing' on it fabric - on the blue and white star block? 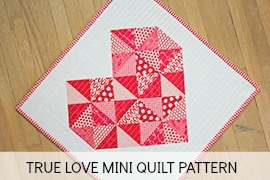 I wish I had stumbled upon this mini quilt club sooner and could've joined! Each one is so cute and simply and modern. I love it!